The cheesiness levels have gone from dangerous to critical -- it turns out that, in Mexico, Cheetos are available in 3kg bags (that's 6lbs for the non-metric-initiated). They're produced by a Mexican snack company, Sabritas, that distributes Frito-Lay's products South of the border. And they're about as big as a small child. 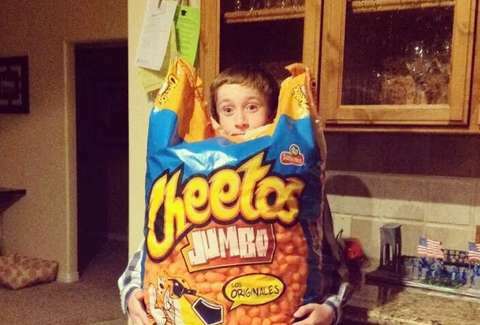 The Cheetos Jumbo bags ("LOS ORIGINALES") are most commonly sighted at Mexican branches of the bulk retailer Costco, whose website is suspiciously down at the time of publishing (probably because they're getting too many orders for giant bags of Cheetos). Even Chester would be sluggish after eating one of these. Adam Lapetina is a Food/Drink staff writer for Thrillist, and wonders how much they cost to ship overnight. Read his musings at @adamlapetina.